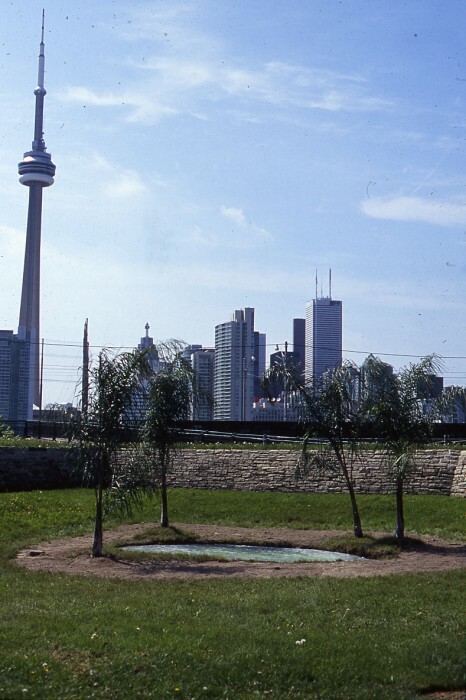 Special Reception Saturday, 29 May, 2 pm – 4 pm for Oasis a public intervention by Fabrizio Rivola at Historic Fort York, Toronto. 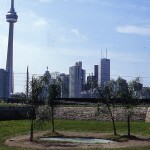 For Historic Fort York, Italian artist Fabrizio Rivola will continue his new series “Oasis” for which he will build a temporary sculpture on the premises. 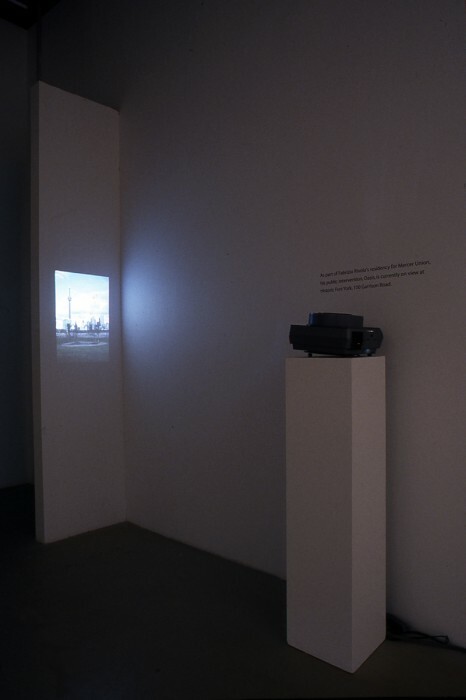 As the title implies, Rivola will create an oasis — one that is both a stereotypical representation of popular depictions of a desert oasis, and an idyllic landscape, and as a response to the specific history and site of Fort York as the symbolic location of the founding of the city of Toronto. 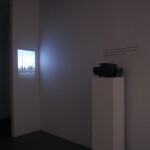 In Mercer’s back gallery, Fabrizio presents documentation of his public interventions. These large-scale photographs solidify his intervention not simply as a record, but in a manner that oddly, yet seamlessly blends the constructed Oasis into the landscape. 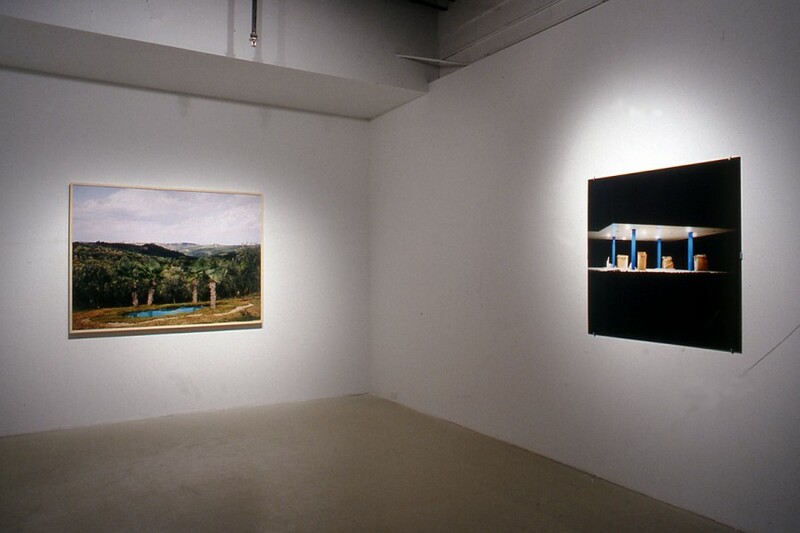 Like many artists of his generation who broke onto the Italian and international scenes in the mid-nineties, Fabrizio Rivola has developed a personal strategy of thought and action, which within the linguistic nomadism that belongs to him almost as a generational trait, centres on the complex and varied aspects of the hyper-reality of communication. It is a modality in tune with the processes and conceptual investigations that were elaborated and proliferated at that time concerning the marking and identification of difference and “notable” difference in things and in the world. Along these lines, words, images, and context, which are internally combined and alternate according to the refined use of figures of rhetoric, intervene to modify, even through invasive actions, the usual relationship with places (and non-places) in the natural or artificial environment. In one sense, the media-saturated reality of the urban landscape is brought into contact with the ambiguity inherent in the mechanisms for the reception of advertising’s message. The level of integration or substitution of images and texts in abandoned spaces or in sites reserved for communication by the media asserts and establishes an understanding of a gesture that is anonymous yet prepared to maintain a critical stance. And perhaps even to propose it, with the original emphasis on the Public Art intervention as legitimation of an alternative to the uninformed and prescriptive attention paid to various forms of propaganda and proselytism. If such an exploration of “artificial” reality is proposed as a sustained re-reading of the interpretative formulas of the global imagination, another scenario of intervention and investigation cannot avoid crossing over into the natural environment. Into the landscape as expression of anthropological space, bound up with identity and relational, but at the same time revealed and perceived almost exclusively through stereotypical characterization. 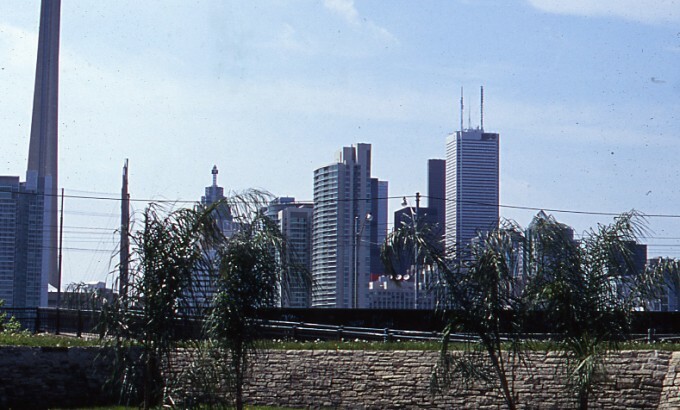 We can situate here then the series of site-specific projects that seek to displace in a real way actions and behaviours that modify the landscape. Either through the creation of a small and pleasant artificial lake with palm trees among the hills of Chianti between Florence and Siena, or in the project of a pool virtually filled with wine in a factory in the same valley – or, again, by providing a reflection on the “cultural” control of nature from an eastern and a western point of view. And this through the use of two images brought together: one, of a small lake in the imperial gardens of Kyoto by Makiko Asada, the other of an actual Oasis recreated in Chianti. The literary quality of the disorientation that Rivola deals with here seems to disrupt the safety of real or represented places; not only as a shift between the authentic and inauthentic but also in the guise of an insinuating inability to distinguish between the “appearances” of true and false, clear delineation and the subtle play of quotation, to the point of exercising control over the translation between different forms of expression. A translation that includes painting, as a re-proposal not so much starting from the original but from the interpretation of a tableau vivant reconstructed and staged for cinema. Starting from the deposition of Rosso Fiorentino and the lament of Pontormo for the film La Ricotta by Pier Paolo Pasolini. The real and true transduction from one medium to another comes, in effect, from describing only the “backstage,” the scattered fragments that, gathering together spontaneous signs and gestures, secure an actual transfer of meaning. 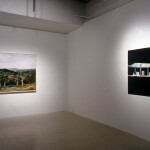 In the rich and varied capacity for such investigations and in the artistic practice of Fabrizio Rivola, a true engagement with the interpretation of cultural paradigms of our present time remains constant; an engagement that transforms itself into concrete propositions for symbolic and anthropological understanding.